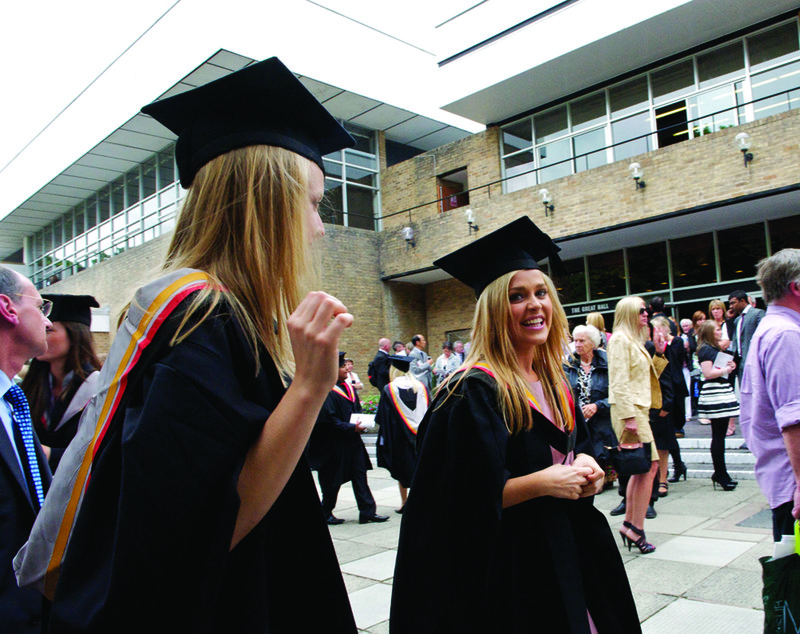 As this academic year comes to a close, there are many of us who will be graduating from university. Some of us will be venturing out into the scary working world, whilst others might be seeking postgraduate study. An article I previously wrote on tuition fees prompted me to ask the question, “What determines the value of a university degree?”. The immediate answer is simply to get you a desirable job in the future, but truthfully, that’s one of the last things we will think about when we look back on our time at Lancaster. So, this article, so suitably timed at the end of your university experience, is to get you to reflect on absolutely everything else your degree has offered you. One of the most common and cringiest phrases used by our parents to explain to us what university is for, is that “University is where you go find yourself as an adult and grow as a person”. We turn 18 (or older in the case of many who study) and are sent off to university, and technically, we are all now adults. We’re supposed to be able to live independently and be mature young people who know how to act professionally when necessary. However, this is a complete falsehood, as we’re supposed to be adults, but in reality we have no idea what we are doing. I imagine that at this point many of you will say “Speak for yourself mate” in a condescending tone. In response, I’ll say this, in first year you probably found yourself in dramatic situations within friend groups and relationships that are almost identical to those you had in high school because, truthfully, we’re all a little sexually and emotionally inept. Besides being socially awkward, many of us lacked some basic life skills- like how to operate an oven. I still remember in second year I caught my flatmate frying tuna, to put in a wrap with some tomato ketchup and cheese. Thankfully his cooking skills improved since then, but doesn’t he just remind you of that housemate that you just wonder “how the hell are you still alive?” My point is, just the experience of growing as people into young adults is invaluable. University is also about meeting people you possibly would have never met otherwise and understanding aspects of someone else’s life/background/culture that you would have never comprehended before. I’m sure that before coming to Lancaster some of you had never met a black person, or a Malaysian, or even just someone who lives in Croydon, but here we’ve all at least had the opportunity. Some people met the one they will go on to marry, whilst others have simply made friends that will last a lifetime. The same stupid nights out expressing the same immature behaviour will be some of your best memories of university. You might have picked up some interests due to the various societies this university has to offer and have gotten an opportunity to be a part of something great. Something you’ll tell your children about someday if you decide to start a family. I already know which of the friends I’ve made here will be at my wedding, which ones will be hung over from the bachelor party and which ones will be shamelessly hitting on the bridesmaids. After speaking to our experiences during university, what about our plans after we graduate? What we came here to study isn’t always what we ended up doing, what our careers and lives would be are often uncertain. I had no idea that Journalism would be my desired career until my second year at university. Some have dramatically altered their courses and will graduate with a degree that is quite different from what they applied for. Some of you have made priceless connections in certain industry that will set you up for your future career. On a more pessimistic note, some might have decided they will no longer be continuing with their university course and have decided to drop out. On the other hand, you might be deciding to drop out as your university experience has revealed a passion/idea that you have which doesn’t require the degree you’re studying. It is quite common that our degree does not directly relate to our future careers. So my advice for all those graduating this year is to remain open minded and ready to adapt to whatever life throws at you.as I’ve seen even geography graduates become lawyers. As far as I’m concerned, no matter what grade you receive at the end of this year, this is not the end. For those who will be returning to us in October, it is amazing what you can accomplish in one summer. How you can grow as person and return with a focused mindset in October. It might test what we are truly capable off in a huge way, or the relationships you’ve cultivated thus far. For those who are graduating, even if your degree doesn’t have the numbers that you need, remember what you’ve accomplished. The fact that you completed a degree at a top 10 university is an accomplishment, and it always possible to become something great. It would be foolish to state that all you attained from your university experience is the grade you ended up with.Considering all of this, for those who are graduating, simply remember that you got so much more from your university experience than just a job.